Shanghai Disneyland The 12th Disney park, which opened at Shanghai Disney Resort, June 16, 2016. The park features six themed lands—Mickey Avenue, Gardens of Imagination, Fantasyland, Treasure Cove, Tomorrowland, and Adventure Isle. At the heart of the park is Enchanted Storybook Castle, the tallest and most interactive Disney castle with attractions, entertainment, and dining. An 11-acre green space welcomes guests to the park and provides viewing for parades and nighttime entertainment. Mickey Avenue is the first main entry to a Magic Kingdom-style park themed to Mickey Mouse and his friends. 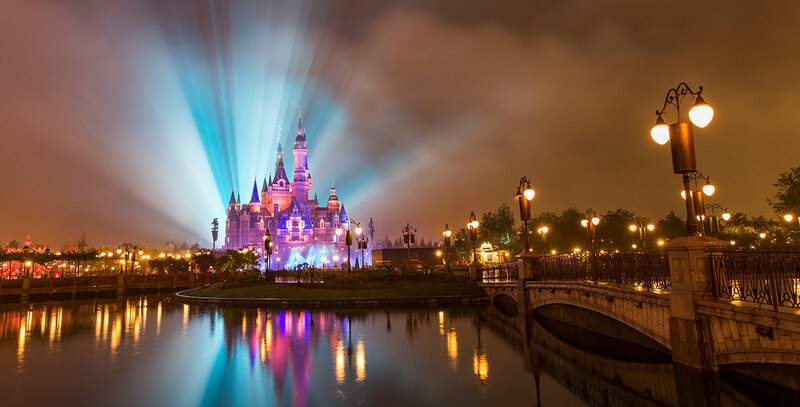 See also Shanghai Disney Resort.